Cor del Gran Teatre del Liceu, Orquestra Simfònica del Gran Teatre del Liceu / Josep Pons. Gran Teatre del Liceu, Barcelona, Catalonia. Sunday, December 10th, 2017. 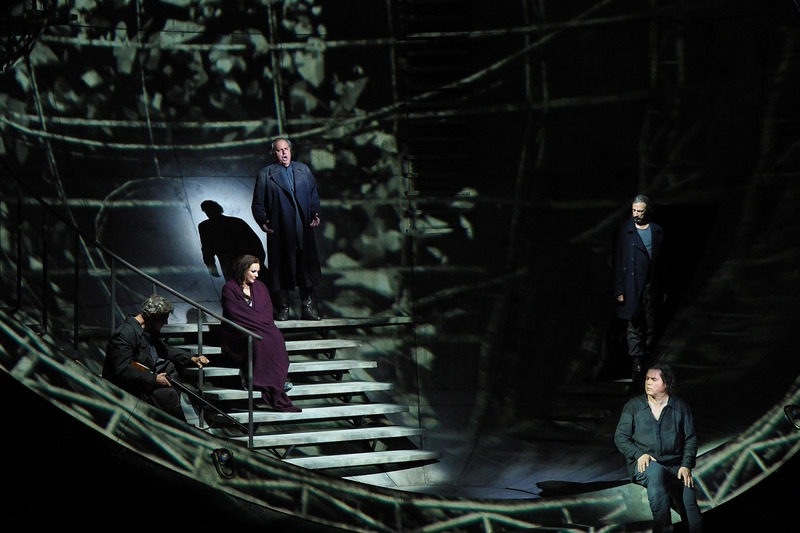 There is a long tradition of Wagner performance in Catalonia and the Gran Teatre del Liceu has over the years hosted some of the leading Wagnerian singers of their time. 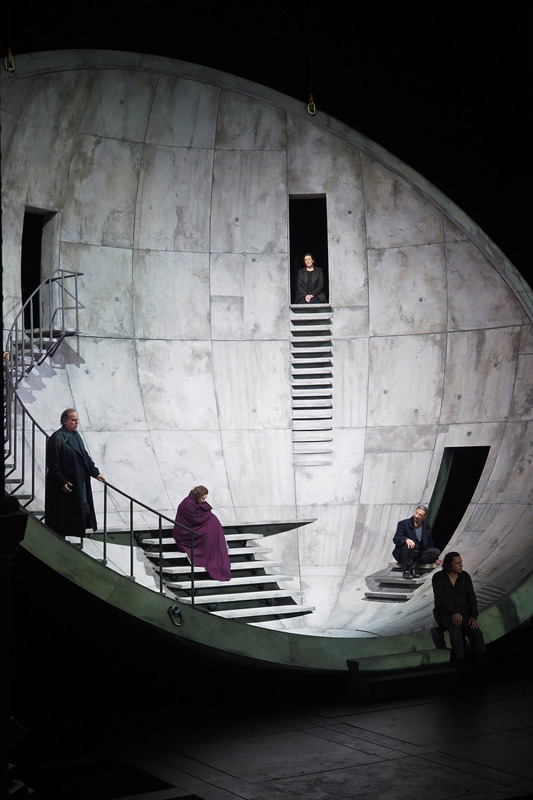 Stepping into the shoes of their illustrious predecessors tonight, the Liceu assembled a highly experienced international cast and imported a production from the Opéra de Lyon. Àlex Ollé’s staging undoubtedly looks good. It occupies a futuristic yet timeless world. Costumes (Josep Abril) included the standard uniform of long trench coat for Marke and long flowing dresses for the ladies. In Act 3, we see the mortally wounded Tristan raving in front of what appears to be the Death Star which has crash landed in Kareol. At least that is what it looks like to someone who grew up with the Star Wars movies. In Act 2, the structure is reversed and within its shell, the action takes place. I’m not quite convinced I understand what the inverted circle is meant to represent. However, the video (Franc Aleu) projected on to it, certainly added visual interest whenever a character got too loquacious. Is it meant to be symbolic or simply decorative? I’m not sure Ollé gives us the answer or indeed gives us the keys to unlock the symbolism for ourselves. Interestingly, Act 1 is relatively conventional and clearly takes place on board of a ship. The relations between the characters are real and tangible. Yet, I left the theatre not completely convinced that Ollé manages to create a cogent enough theatrical argument. Where the staging does succeed is in its narrative clarity. The events of the plot are clearly laid out for us – the ‘what’ and the ‘why’ are always apparent, even if the ‘where’ isn’t. The way that the lovers take the potion in the hope of death only to wake up in love, is vividly portrayed. This is very much Isolde’s story (at least until the start of Act 3). She is a strong, independent woman – impulsive and headstrong – who by her nature is destined to become obsessed as a result of taking the love potion. Once she and Tristan do so, they are unable to keep their hands off each other, completely unaware of anything or anyone else in the world. 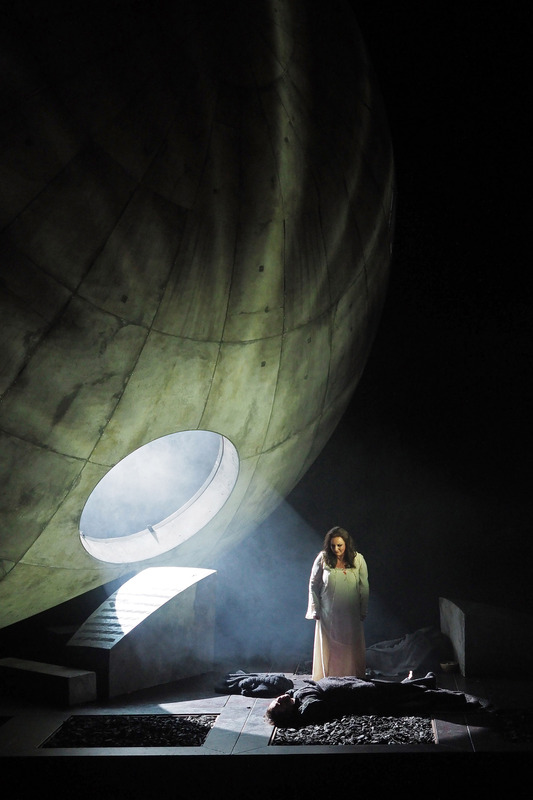 This was portrayed with thrilling immediacy by Iréne Theorin’s Isolde. Right from her first entry in Act 1, she maintained a staggering level of intensity, riding the orchestra with the ease of someone taking a leisurely Sunday afternoon walk. She was also capable of giving us some ravishing soft singing in the love duet, the voice adding double cream as she pulled back on the dynamics. Her Liebestod was radiant and warm, filling the theatre in ecstatic waves of sound – so that when the resolution finally came, it was overwhelming. Theorin was fully supported by Josep Pons’ conducting. Pons seemed to achieve the apparently impossible – finding instant gratification, through swift tempi and rhythmic impulsiveness, and maintaining an unbearable level of intensity throughout the four and a half hours. The noise that came from the pit was massive, yet he also found tenderness in the softer passages. The orchestra played extremely well for him, the sound anchored in a strong bass line. We also got some fantastic playing from the horns in the opening to Act 2, and the Act 3 prelude found a depth of sonority that took us deep into the heart of Tristan’s dark night of the soul. 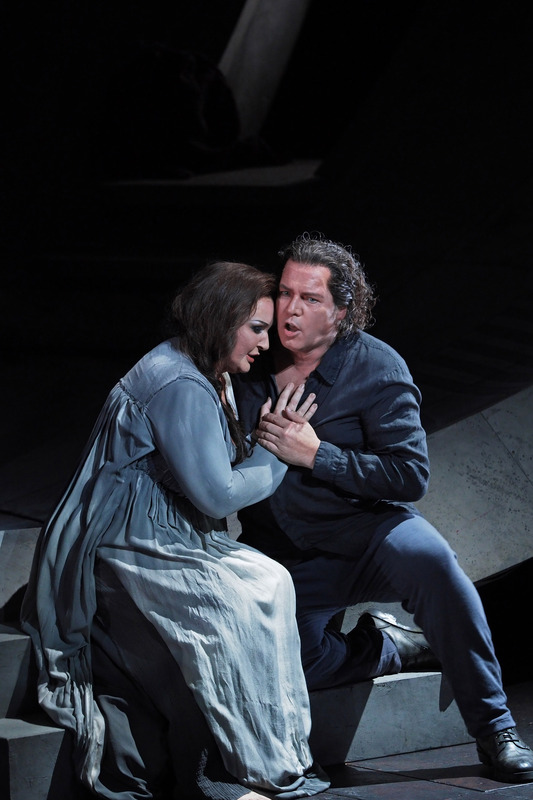 It was also in Act 3 that Stefan Vinke’s Tristan really came into his own. Earlier on, the tone was reedy and frequently south of the note. He attempted some very soft singing in the love duet but unfortunately, due to the tuning, it wasn’t especially easy on the ear. 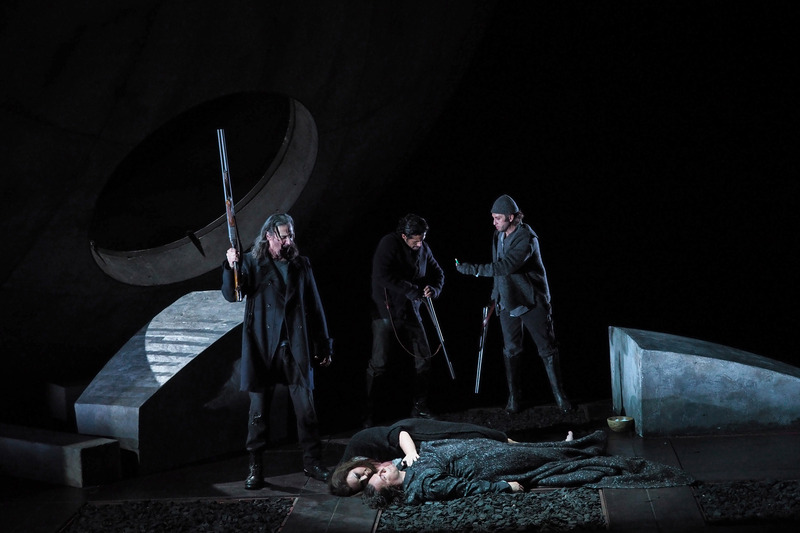 By Act 3, he had hit his stride – seemingly revelling in everything Wagner could throw at him. The voice took on heroic amplitude, tuning improved and he sounded absolutely tireless, gaining ever more strength as the act proceeded. 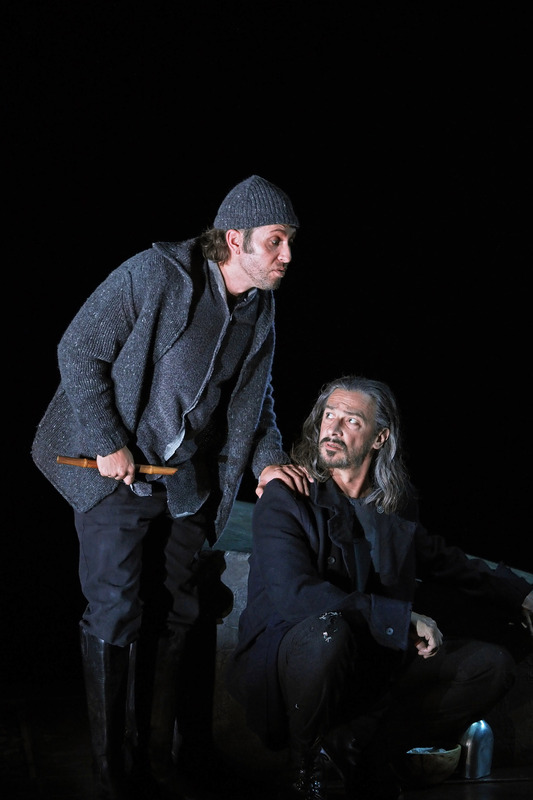 The remainder of the cast was distinguished by Greer Grimsley’s Kurwenal sung in a massive, oaky baritone – a huge column of sound. 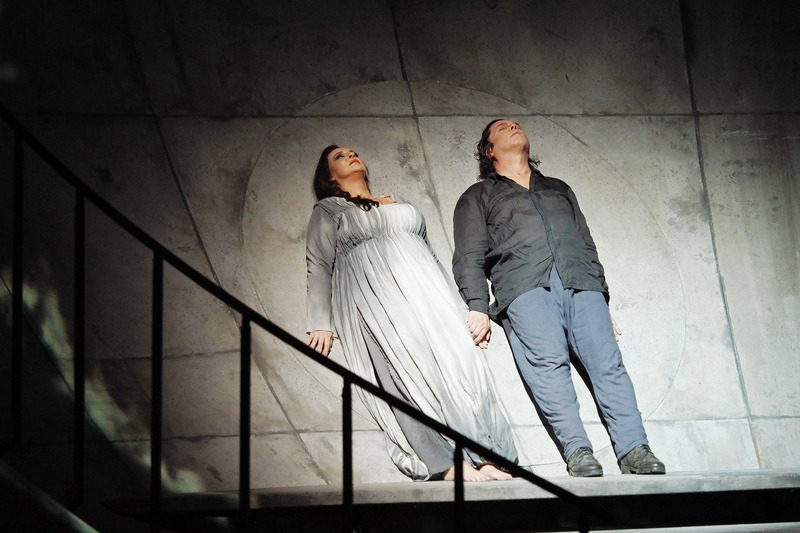 Albert Dohmen gave much pleasure as Marke, bringing a lieder singer’s attention to the text – his bass with warm resonance at the bottom combined with a haunting nocturnal beauty. We also had a handsome-sounding and mellifluous shepherd from Jorge Rodríguez Norton, certainly a voice I would like to hear again. I suspect that Sarah Connolly’s Brangäne was suffering from an unannounced indisposition. The tone appeared to lack body and sounded tight on top. Her mezzo sounded pushed, was flat in her warnings from the tower and they, in turn, lacked the warm floating on the orchestral texture that makes them so magical. She had obviously worked hard on the text and every word was clear. Having previously had some very memorable evenings in her company, it sounded that she wasn’t on top form tonight. The chorus was nicely raucous in their brief interjections. Tonight we witnessed a study in obsession, of what happens when two people lose control and submit to their desires. It was an intense experience, one that offered momentary gratification, yet also held back for the ultimate release. When it came, it was completely physically overwhelming, leaving this spectator shaken. It was more than decently sung overall and capped by a commanding and unstinting account of the role of Isolde by a singer, who tonight, gave us so much of herself.